I wonder how the fire engine ended up there? It would be nice if it could be seen at a local museum, perhaps the Kirkleatham Hall museum….. The building was the engine shed for Coatham, i think it housed a steamer at one time, I am on the hunt for the missing Redcar Leyland, hopefully she is still in Holland.. 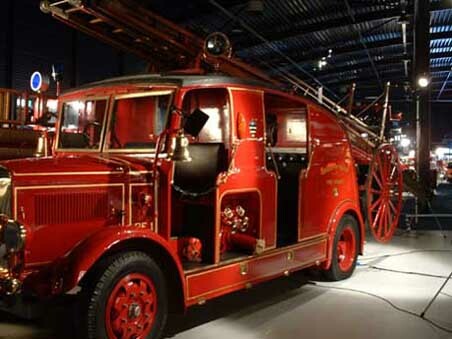 The missing 1937 Redcar Leyland Fire engine has been found, she is still in Holland in a well known auto museum’s storage facility. 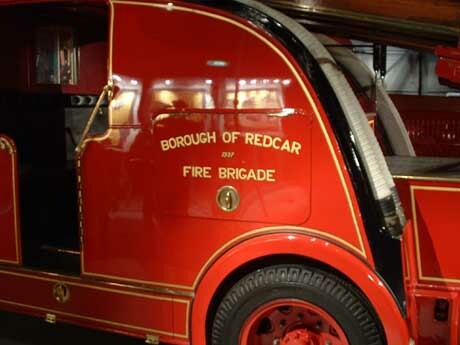 The Kirkleatham Fire Station was used before 1890 and was run by volunteer firemen. Late in Peirson St it was run by Capt. Arthur Hall who was supported by volunteers but even he had to get the key from the Police Station before using any of the equipment… Later both the Chief Fire Officer and the Police Inspector’s duties were carried out by the same person.